Ongoing, individualized support to help take you and your creative business on to a bigger stage. I can't wait to work directly with you to create sustainable success. You feel it in your bones and have those butterflies in your belly… Your intuition is telling you subtlety (or not so subtlety!) that THIS is YOUR year. Your business, your message, your life beckon you in bigger ways and you know you must make bold, courageous moves to meet those callings NOW. And that probably makes your heart beat faster and your palms sweaty. You don’t want to embark on this transformation alone. And you certainly don’t want to burn out as you reach for new heights. You want the hands-on guidance from someone who has been there before you and can light the way while you create, execute, and fine-tune a long-term strategy that works for you. As an ongoing VIP client you get direct access to my experience and expertise to help propel you forward into a wildly successful and fulfilling year (with ease and fun, of course!). Read on for more info or if you’re ready to sign-up, apply now! “It is no coincidence that my business blew the hell up after I started working with Jenn! Hiring her was a no-brainer and the results speak for themselves: not only did Jenn provide specific structures and strategies that led to doubling my mailing list and tripling my revenue in one year, she also taught me how to chill out and let go of things that weren’t working so I could focus on what was. I was able to surpass the coveted 6-figure mark in my business and find the sweet spot in the products I love delivering as much as my clients love being a part of! “You have helped me IMMENSELY in just 3 sessions – you’re magic. I hired you to help me figure out how I could streamline my business in a way that maximized the impact I was having (as well as the enjoyment! ), and my “busy work” has been shut down almost immediately. You being here through these Backscratching Calls and while I craft these new offers has also showed me how much $$$ I’ve been leaving on the table, constantly. It’s great to see how I can rectify that moving forward, in a way that feels good to me. Being a Shining Star was the perfect thing for me at a time when I was making a lot of changes in my business which included creating new products and offerings which needed different methods to bring to life than what I had done with my client-based work. I especially loved my 1:1 coaching calls with Jenn, she helped me to make sure I wasn’t undervaluing myself what I had to offer, and that I was creating a product by focusing on people’s needs and desires, breaking down the launch process into smaller steps, getting organised with my marketing as well as getting over the fear of marketing (especially as an introvert), how to reach out to people, and lots of clever tips to make my offerings more attractive throughout the whole process. During my mentorship I have: successfully funded Darling Legs, my own custom leggings design, into production; created and launched Flowing + Thriving, a design biz course for designers; collaborated on a 2015 Moon Energy Calendar which sold out within weeks; created Darling Tats, a new range of metallic temporary tattoos; and have take big steps to make a living from the work I enjoy most. You’ve experienced great successes already AND you know you’re now at the cusp of breaking into a new income level or you can feel that you’re expanding into new moola-making methods or new markets and need hands-on guidance from someone who’s been there and can show you the ropes. You want to build your entrepreneurial leadership muscles and really step into being the CEO of your company. You’re willing to do the deep, personal work to get to the next level and to make courageous decisions that honor what you’re taking a stand for in your life and business. You’re a total business newbie or are unclear about the direction you want to go in. If you’re brand new to business or are still figuring out what your business is, this level of support will be too advanced. Instead, the Right-Brain Business Plan® Home Study might be a good option for you to start with. Another option for getting more foundational support is you can work directly with one of our Right-Brain Business Plan® Licensed Facilitators. You’re looking for a quick fix. Transformation takes time, commitment, and conscious action. You need to be in it for the long-haul to fully experience the results you want. 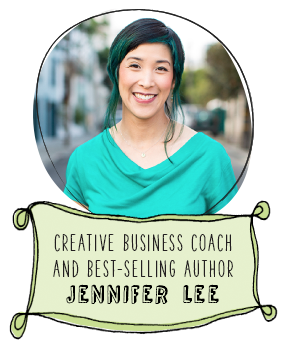 “Working with Jennifer Lee is the best business and life decision I’ve ever made. Her kind encouragement and mentorship quite simply mean the world to me. Under Jenn’s guidance, I built my list by offering my Enchant Your Everyday: Pilgrimage to Your Beautiful Life programs to 100s of people by tapping into my values, passions and gifts. Because I built my list through community engagement and really listening to the needs of the highly sensitive empaths who were drawn to my work, I was able to launch my Sage Priestess Training year-long program (now Self-Study and Certification programs). Jenn has generously encouraged my creative spirit to shine at every step of the way. As a result, my Priestess programs have now reached over 150 people across the world. 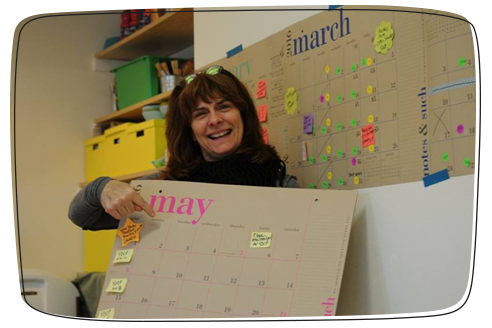 I went from making very little and juggling other jobs to having a full-time sustainable business that is a joy to do. “With strategic ‘roll-up your sleeves’ direction from Jenn, I was able to transition from an unsustainable, burden-filled business, to a solo ease-infused business that eliminated business debt within the first year of this transition. Being a solopreneur has opened up space, time and energy to focus on increasing my visibility as a healer, creativity coach and workshop/retreat facilitator through summit interviews​ and​ creation of free gifts. I’ll personally review your application and will get back to you within 2 business days. If you’re approved you’ll receive information on how to schedule your sessions. If, after reviewing the application, it doesn’t seem like VIP Coaching will best meet your needs at this time, we will let you know within 2 business days and will refund your payment promptly. We can also explore what support might be better suited to you, so you can make sure you get the guidance you need. Please note that the sessions are designed to happen monthly within 4 consecutive months. This ensures the most effective accountability between calls and helps to maintain momentum. “I am tremendously grateful to have Jenn as my business coach! As a creative-minded business owner I have often felt like a lone fish in a frog pond. 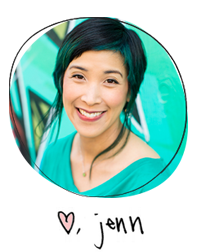 Jenn’s insight and expert guidance, allow me to be comfortable owning my style, process, and priorities. Jenn skillfully focuses in on particular areas to uncover my blocks, or open up another perspective. She asks just the right questions to light a path forward. She communicates with me in a way that ignites the thought process and affirms the direction that feels right for my projects and overall business. I leave our sessions feeling a renewed sense of empowerment with do-able steps that sit well with where I am and nudge me just the right amount to keep an exciting level of progress without overwhelming. With the nurturing, fertile environment Jenn holds, I’ve accomplished several small projects and one big project: I am super excited to have a tangible preview copy of the book, Meebie has Feelings, that will soon be offered as a picture book to go along with our Meebie toy. Possibly more satisfying: I feel the stage is set for my other goals to move and shine. Knowing I can reach out to Jenn is huge. “I had to do something different. Going to large conferences and trying to change course on my own wasn’t cutting it. The opportunity to do VIP Coaching with Jenn presented itself following a period of grief and loss—my mother had passed away, the art studio I taught at went out of business, and my momentum in the field of publishing had stalled. As a traditionally published author/illustrator in children’s literature, I lost a bit of confidence in myself and I held onto my stories with a tight grip, hiding them away in folders to avoid any chance of rejection in the bottom-line business of publishing. With Jenn’s insightful coaching, I found my creative and business mojo again. I broke through barriers of fear-based thinking and took decisive action in creating a business plan that resonated with my dreams and goals. Within two years, I reinvented my brand, designed a new logo and created a new website (following five years of struggle with the same set of tasks). Most importantly, I took my stories and paintings to the next level, producing new and revised works with greater confidence and commitment. “One of the big take-aways I learned through coaching with Jennifer is how to make my business an extension of me and my values. My business flows with more ease if I align my business decisions with my personal life goals. During the nine months that I coached with Jennifer, I began marketing my business in ways that I hadn’t before. Also I created new marketing strategies and approaches that will be rolled out in the coming year. Now I know how I want to market my business in a way that feels more authentic to me. In addition, I feel more clarity about choosing which projects to try first and which projects to set aside for now. I made some big changes in the time I coached with Jennifer and that’s why I wanted support and teaching from her. I quit my full time job to focus on my own business. Soon afterwards, I was asked to travel to Europe and Asia for five weeks to work and share my knowledge and skills. Traveling to new countries and cultures for five weeks was a big step for me and I’m glad I had coached with Jennifer before this new journey. As with any travel endeavor, several challenges arose on the trip and I felt equipped to focus on solutions in ways that didn’t shake my confidence and in ways that still took care of my needs. “I have been on this growth edge, a precipice of sorts and have been looking over the edge for too long, wanting to take that leap over but holding myself back. I feel like I made the jump last week but with beautiful wings to help me fly and excitement for where the journey is going to take me instead of fear. I definitely feel like I am ready to put myself out there in a bigger way, feeling more comfortable stepping into my power and operating from my center. Also, I haven’t experienced that combination of right and left brain activities before, more specifically the combination of soul work and manifestation, vaporizing some long held limiting beliefs and then bringing it all together into a business plan/mastermind experience. The combination really worked for me and where I am at in not only my business but my life’s journey. Invest in yourself and your big dreams! The time is NOW to say yes to finally creating sustainable success on your terms. I can’t wait to roll up my sleeves with you and dive in deeply to bring your beautiful vision for your business to life.